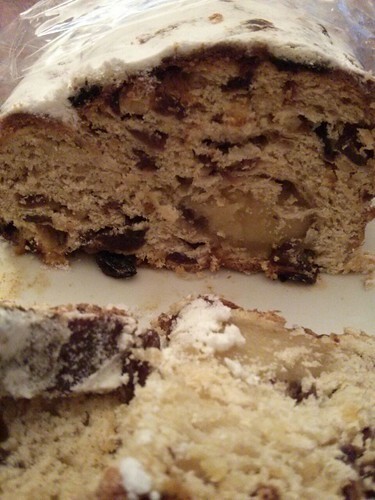 Stollen is a German traditional oblong-shaped baked bread (Gebäck) for Christmas. It is made from heavy or rich yeast/leavened dough with butter, sugar, eggs and a bit of salt. 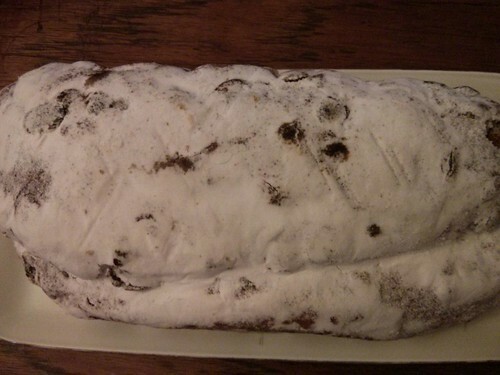 It is spiced with cinammon (zimt), nutmeg (muskat), with grated almonds and raisins (Rosinen) and candied dried fruits (Trockenfructen) and drizzeled with powdered sugar. Some versions are filled with Marzipan or Poppy seeds (Mohn) at the center. 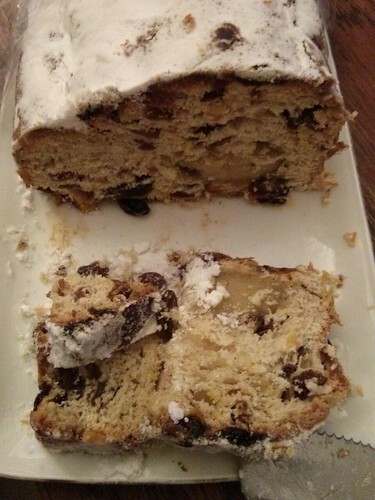 Stollen is also called Christstollen or Weinachtsstollen. 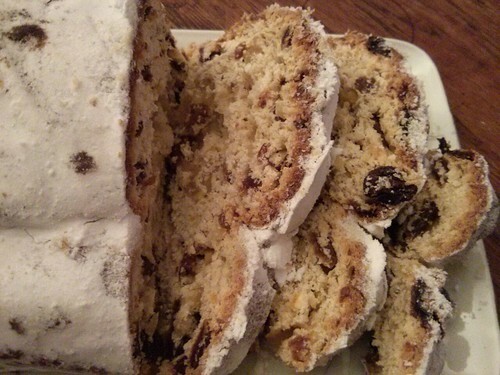 Please see below, pictures of slices of Stollen filled with Marzipan. Sorghum referring to a grain related to millet. This grain is widely grown in agriculturally marginal areas, from China to Yemen to Turkmenistan, because it can survive with little water and in extreme heat. Sepia is a Spanish word for cuttlefish. Sikam Paa refers to dried pork from Bhutan. One of the country's traditonal foods. Sorekai or Churakka is the Malayalam word for Bottle Gourd. It is one of the common vegetables in India, particularly in south of India. Sorekai is often used to make vegetable dishes, such as Sambar . Churakka is another word of Bottle Gourd in Malayalam Sorekai is called Upo in the Philippines where it is one of the popular vegetables Please see related article about Upo.